When was the last time you read Orlando Sentinel’s ‘Ticked Off’ comments? 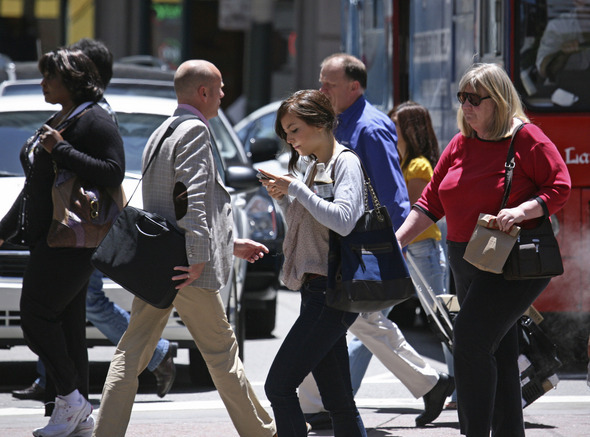 Just last week, there was another rant about people walking with their heads in their phone – so consumed that they don’t even hear or see cars, trains, or other large objects. The sad thing is more and more people are colliding into trees, the sidewalk, and even cars – winding up severely injured or dead. One recent study found that people phoning while walking veered off course 61 percent of the time. When you’re talking about curbs and crosswalks, overstepping can cause some serious damage. Factor in the large amount of distracted drivers with distracted walkers and you’ve got yourself a deadly combo. Next time you’re walking, “go silent.” Take a breather. You may just find that noticing the nice weather in person is better than reading about it on your Facebook timeline.